The recent re-election of Viktor Orbán and his Fidesz party for a third consecutive term in April 2018 has reinstated pressure on liberal democracy in Europe, as it reinforced a leader who has been systematically curbing political freedoms and civic liberties in his country ever since in power. After having introduced his hegemonic project under the name of “System of National Cooperation” during his 2010–14 term, Orbán announced in 2014 the construction of an “illiberal state” in Hungary. And this announcement of the transformation of Hungarian democracy into an illiberal state was no empty phrase. Once a democratic frontrunner in the region, since 2010, Hungary has been steadily sliding back on indices measuring the quality of democracy like Freedom House’s Nations in Transit or the Bertelsmann Stiftung’s Transformation Index, showing that democratization is not irreversible. Even more worrying is that these anti-democratic developments have been undertaken in the heart of the European Union without any major obstacle or scrutiny as Orbán’s Christian democratic allies in Germany, the CDU/CSU, have chosen to shut an eye and thus legitimize the process. Eight years later, the model has been established, the precedent set and the trend spreading with Poland following in Hungary’s footsteps. The transformation started already during Orbán’s 2010-2014 term that brought Fidesz a two-thirds constitutional majority in the parliament, which the Orbán-government immediately used to secure its positions in the long term. The governing party replaced the Constitution with a new Basic Law, significantly curbed the powers of the Constitutional Court e.g. by removing its jurisdiction in financial and budgetary matters, and strengthened its control over the media by establishing and filling with its people a new media authority. The governing majority also completely overhauled Hungary’s electoral system including the redrawing of electoral districts and the introduction of a so-called “winner compensation” system favoring the biggest party. The rapid increase in refugee and migration numbers in the EU as well as the issue of the EU-wide refugee relocation quota dominated the 2014–2018 term, which brought a harsh governmental campaign against the European Union unprecedented in Hungary. The construction of the illiberal state continued, nonetheless, this time by further shrinking the space of independent media and a systematic hate campaign against civil society organizations critical of the government’s position on migration. Reminiscent of Russian measures, the so-called Lex NGO adopted in 2017 demands that NGOs receiving more than 7.2 million Forints (approximately 26,000 USD) from abroad register as “foreign funded organizations”. Continuing its campaign against civil society, in the run-up to the 2018 elections, the government submitted to the parliament a legislative package, which it titled Stop Soros. This proposed legislation was to make the operation of NGOs dealing with migration conditional upon the permission and registration of the interior minister, tax their funding coming from abroad, and threaten their employees with some sort of restraining order not allowing them to enter the 8km vicinity of Hungary’s Schengen borders. The package provoked criticism internationally, and although it was not passed before the elections, with the new parliament and government now sworn in, the saga continues. 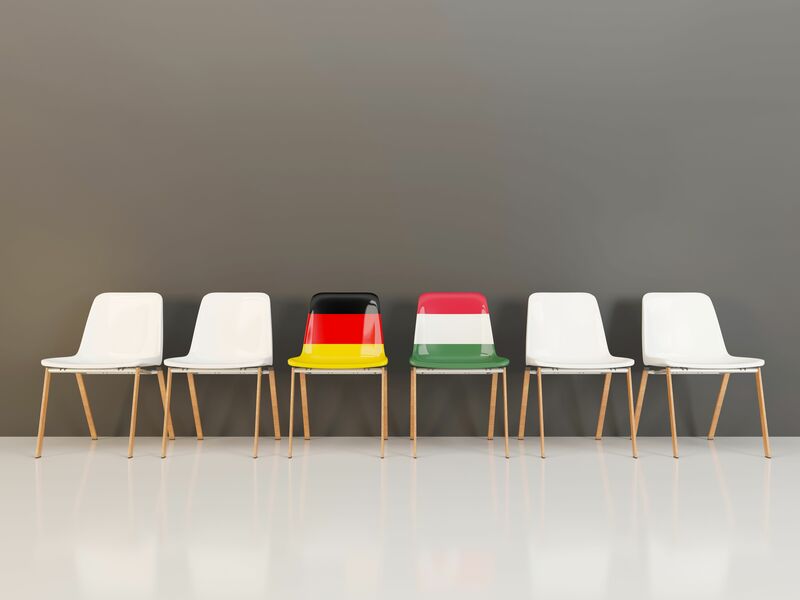 To understand why the Orbán-led Fidesz government did not face more pressure from the EU, one has to take a closer look at the role of Germany, and more closely of the governing CDU/CSU, on the bilateral and the European level. A number of factors are important here. First, being closely tied with Hungary in economic terms due to some of its major companies, like Audi or Mercedes, installing significant manufacturing capacities in the country, political stability and favorable bilateral relations have been especially important for German business and thus for the German government. Second, beyond economic ties, the role of political ones is even more important. The CDU/CSU has in fact acted as a buffer between European demands to respect democratic values and principles and the Fidesz-government. The reasons for this are twofold. On the one hand, Fidesz is part of the European People’s Party (EPP) Group in the European Parliament, as is the German CDU/CSU, and provides 12 MEPs of the Group’s current 219 parliamentarians, which counts as a mid-sized delegation in the EPP. Despite repeated calls from journalists, academics and other party groups in the EPP to expel Fidesz from the EPP Group, the party remains in the EPP. Neither the building of a controversial fence at the border with Serbia at the peak of the refugee and migration crisis, nor the shrinking space for free media and civil society or the Hungarian government’s recent repressive legislative amendments on higher education targeting the Central European University (CEU), a Budapest-based graduate school founded by George Soros, have led to Fidesz’s expulsion from the EPP group. CDU/CSU members of the EPP in particular were against expelling their ally. At a crisis meeting in April 2017, the EPP already warned Orbán not to cross certain lines but then nothing happened. This stance of the CDU/CSU might have encouraged the Orbán-led government to pass more controversial legislation as it did not encounter major contestation to previous reforms either. This stands in contrast to Poland, where the government was severely criticized for its judiciary reforms and a majority of MEPs in the European Parliament supported the EU Commission’s plan to trigger Article 7 over serious concerns of the rule of law in Poland. The difference is that the Polish governmental Law and Justice party (PiS) is not a member of the EPP group, but of the European Conservatives and Reformists. On the other hand, the CSU shares certain positions with Fidesz and Orbán, particularly when it comes to refugees and immigration. Former Bavarian State Prime Minister and CSU party leader Horst Seehofer was so impressed by Orbán’s strict anti-refugee course since 2015 that he invited the Hungarian head of government several times to Bavaria. Seehofer invited Orbán for the first time in the late summer of 2015 to the closed session of the Bavarian parliamentary group. Here, the Hungarian Prime Minister accused Merkel of “moral imperialism” and sharply criticized her refugee policy. In autumn 2016 as well as in autumn 2017, Orbán came again to visit Bavaria. Also, in January 2018, Orbán met with Seehofer, CSU country group leader Alexander Dobrindt and Chairman of the EPP Group Manfred Weber in Bavaria, where he announced that 2018 will be the year of the restoration of popular will. According to Orbán, “Brussels” disregards the people’s will when it pursues its policy on migration, including the quota, and by doing so it impedes on nation states’ sovereignty. Although EPP Group president Manfred Weber expressed criticism over Orbán’s refusal to accept a quota for the relocation of refugees among EU member states, CSU Parliamentary Group leader Alexander Dobrindt is less critical. After Orbán’s re-election in April 2018 he almost immediately congratulated “his friend Orbán” on his strong election victory. This election victory did not only delight Orbán’s allies abroad, but emboldened his circles domestically, as well. Aside from targeting the EU and critical NGOs, in the run-up to the elections, Orbán had led a campaign against refugees and immigrants that did not lack anti-Semitic undertones when attacking Hungarian-born American philanthropist George Soros and claiming that he wanted to flood Europe with Muslim immigrants. As the name of the previously mentioned Stop Soros legislative package already suggests, Soros is alleged by the Hungarian government to be behind the activities of human rights NGOs which have been defending the rights of asylum-seekers, and which have been a thorn in the government’s side due to their vocal criticism of Hungary’s democratic backsliding home and abroad. Emboldened by the election victory, the Fidesz-near weekly newspaper Figyelő decided, in a step that evokes memories of the communist past, to give further momentum to the government’s narrative. It published a list of approximately 200 people from academia and civil society under the title “The people of the speculator”, listing them as agents of Soros thus seeking to pressure and threaten critical voices in the country. Yet, the CSU does not seem to find any of this problematic. On the contrary, Alexander Dobrindt’s statement that there is an aggressive anti-deportation industry in Germany is reminiscent of the Fidesz campaign against NGOs defending the rights of asylum-seekers in Hungary. Following the inauguration of the new government in mid-May, the road paved ahead of the elections continues albeit with some shifts. After gaining a constitutional majority in the parliament, Fidesz, with its minor coalition partner, the Christian Democratic People’s Party, has enough votes to pass its legislative proposals. First in the line appears to be a new amendment package to the Basic Law along with a modified version of the Stop Soros package submitted to the parliament on May 29. Together these two pose further challenges to democratic checks and balances in Hungary by threatening not only civil society organizations but also the independence of the judiciary. The new Stop Soros package abandons the previously proposed administrative and financial sanctions such as the interior minister’s registration or the tax imposed on affected organizations, but in its current version it now introduces “support for illegal immigration” as a crime into the penal code and threatens individual human rights lawyers and activists who help asylum-seekers with imprisonment. The submitted legislation is vague and operates with concepts that have no legal basis in the current Hungarian legislation. Nonetheless, the intention of continued intimidation of the critical segment of the Hungarian civil society by criminalizing their activities is in line with earlier frames of migration as a threat to the nation and Soros as the spin master behind these threatsby the government in the previous years. Parts of the proposed constitutional amendment are a clear reaction to the EU’s relocation quota. The government frames it as a defense of Hungary’s “constitutional self-identity” (a term introduced by the amendment) by forbidding the settlement of alien populations on the territory of Hungary. An even more important point of the constitutional amendment is the clear distinction of administrative courts from regular courts and the establishment of an Administrative Supreme Court that would replace the Curiaas the supreme judicial organ in administrative cases. The reform of the judiciary has been rumored to be on the agenda of the government, but from the current amendment it is still unclear why the reform is necessary and how positions in the administrative court system would be filled. These ambiguities give ground for worries about filling the ranks with political appointees and thus destroying the independence of the judiciary branch. In the meantime, concerns about the Orbán-government also seem to be on the rise in the EPP, and critical voices have been uttered in the ranks of CDU, as well. On May 27, Tagesspiegel reported that Andreas Nick, the CDU’s rapporteur on Hungary put forward two red lines Fidesz should hold in mind. First, it should wait for the evaluation of the Venice Commission on the Stop Soros package, and second, it should do everything to find an agreement allowing the Central European University to stay in the country. The day after, foreign minister Péter Szijjártó denied that the CDU had sent such a message to the Hungarian government. Whereas the case of CEU is still pending, several controversial elements of the first version of the Stop Soros package, which is now in front of the Venice Commission, have been dropped in the second version submitted to the parliament two days after the criticism of Nick was published. It might have been the influence of the CDU, but the second version is now so different, that the Venice Commission’s position on the first will inevitably be irrelevant unless it expands its inquiry to include the new proposal, as well. . Harsher voices are present in the ranks of the EPP though. The Christian Democratic Appeal (CDA), a Dutch member party of the EPP, demanded in a motion on June 2 that the EPP draws up clear red lines, which if crossed should lead to the (temporary) suspension of Fidesz in the EPP. Moreover, MEPs from Belgium and Sweden also publically expressed their concerns over Fidesz’s membership within the EPP. Yet, doubt remains that these calls would result in Fidesz’s expulsion from or at least suspension in the EPP. The party family is clearly divided on the issue with MEPs from the CSU and ÖVP in particular being against Fidesz leaving the parliamentary group. Manfred Weber, the EPP group president and CSU politician, argues that Fidesz is tamed by remaining within the EPP, but rather than being tamed, it seems that Orbán’s illiberal politics have become normalized by the EPP. The EPP’s and in particular the CDU/CSU’s turning of a blind eye, however, could soon turn into a black eye for Hungarian civil society and democracy itself. Under the electoral code adopted in 2011, 199 mandates are distributed in the national parliamentary election: 93 through national party lists and 106 through single mandate constituencies. In the latter case, the candidate receiving the most votes in the given constituency wins the mandate. The difference in the number of votes received by the winning candidate and the runner-up in the constituency is then added to the votes of the national list the district winner‘s party received. This method overall disproportionately strengthens the party which is able to win most single mandate constituencies, and which overall has the biggest support base. In the two national elections since the electoral code was adopted, this has been Fidesz. Zsuzsanna Végh is a researcher and PhD candidate at the European University Viadrina and associate researcher at the European Council on Foreign Relations. Previously, she worked at the Center for European Neighborhood Studies of the Central European University. Her research focuses on Hungarian foreign policy, Central European political development, regional cooperation and the radical right. 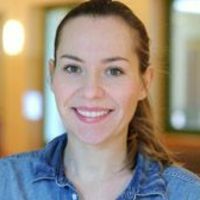 Malisa Zobel is a Post-doc researcher and lecturer at the European University Viadrina. 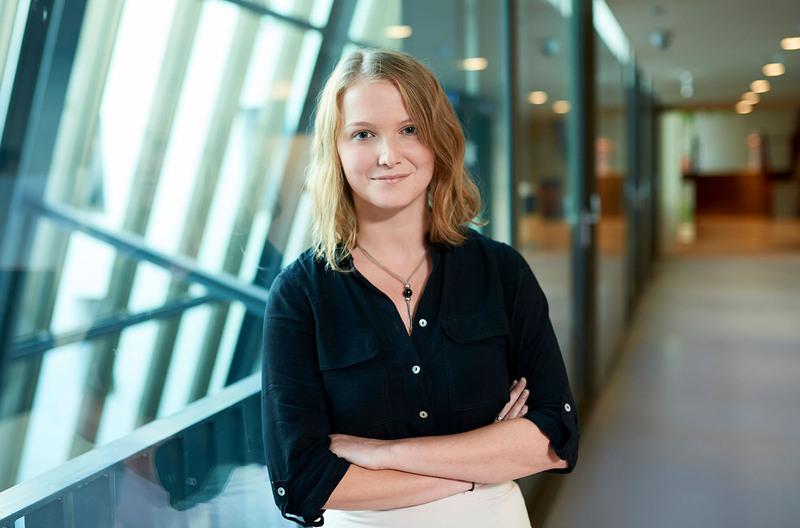 Her research focuses on the impact of radical right mobilizations, particularly with regard to their influence on mainstream parties and migration and asylum policies. She has previously worked at the WZB in a project on comparing immigration policies in the OECD countries (IMPIC) and was a Guest in the WZB Democracy and Democratization research unit. Dieser Eintrag wurde veröffentlicht in Allgemein, Autokratie, English posts, Populismus und verschlagwortet Elections in Hungary, Fidesz, Viktor Orbán von malisazobel. Permanenter Link des Eintrags.